Andreas Tsanakas joined Cass in 2006. Previously he spent six years at Lloyd's. Andreas studied Electrical and Computer Engineering at the University of Patras, Greece. 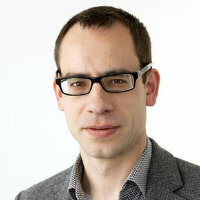 He has an MSc in Control Systems from Imperial College London and an MA in Modern German Studies from Birkbeck College. He carried out his doctoral research at Imperial College London on "Risk Sharing in Financial and Insurance Markets". His research interests are in quantitative risk management, with particular focus on measuring portfolio risks and on dealing with model error. Andreas is a regular speaker at insurance industry events. He has delivered consultancy and training courses in his areas of expertise, particularly insurance capital modelling. 2015 Peter Clark Prize and Best Paper Winner, for paper "Model Risk: Daring to Open the Black Box"
Winner of 2011 Lloyd's Science of Risk Prize, in the Insurance Markets & Operations category, for paper "Optimal Capital Allocation Principles". The main focus of my research in recent years has been on the problems of parameter and model error, particularly in the context of solvency capital calculation and reinsurance pricing. The problem arises by stringent regulatory requirements on the default probability of insurance firms, combined with limited datasets from which such probabilities can be estimated. Adjustments to the risk measurement process that address such estimation error have been proposed. Recent research on related topics addresses the analysis of the sensitivity of a complex non-linear portfolio to changes it the input risk factors and the worst-case diversification effects that can occur in linear portfolios. Further research on model uncertainties has taken a more qualitative direction, discussing the cultural and organisational issues related to how risk models are used and perceived within insurance enterprises. Much of this interdisciplinary research has been conducted in collaboration with an Institute and Faculty of Actuaries Working Party. Another area I work in is capital allocation, that is, the process by which the total capital requirements for a portfolio of financial risks is allocated to its constituent parts. Recent joint work on this topic included the development of a unifying framework for capital allocation methods based on an optimisation approach – specific capital allocation rules are then derived as special cases. Tsanakas, A. and Cabantous, L. (2017). Beyond "Model Risk": A Practice Perspective on Modeling in Insurance. Risk Modeling for Hazards and Disasters (pp. 299–305). ISBN 978-0-12-804071-3. Tsanakas, A. (2008). Risk measures and economic capital for (re)insurers. In Everitt, B. and Melnick, E. (Eds. ), Encyclopedia of Quantitative Risk Assessment Wiley. ISBN 978-0-470-03549-8. Papaefthymiou, G., Tsanakas, A., Dorota, K., Schavemaker, P.H. and Van Der Sluis, L. (2005). Probabilistic power flow methodology for the modeling of horizontally-operated power systems. Papaefthymiou, G., Tsanakas, A., Reza, M., Schavemaker, P.H. and Van Der Sluis, L. (2005). Reliability assessment of HV/MV transformer-links for distributed power systems planning. Papaefthymiou, G., Tsanakas, A., Schavemaker, P.H. and van der Sluis, L. (2004). Design of Wind Energy Distributed Power Systems: Investigation of Stochastic Bounds Using Monte Carlo Simulation. 4th IASTED International Conference on Power and Energy Systems (EuroPES 2004) 28-30 June, Rhodes, Greece. Papaefthymiou, G., Tsanakas, A., Schavemaker, P.H. and Van Der Sluis, L. (2004). Design of 'distributed' energy systems based on probabilistic analysis. Tsanakas, A.D., Papaefthimiou, G.I. and Agoris, D.P. (2002). Pollution flashover fault analysis and forecasting using neural networks. 39th International CIGRE Conference Paris, France. Tsanakas, A. and Cabantous, L. (2018). A foot in the door. The Actuary, (December 2018). collaborations in environmental science. Geoscience Communication Discussions pp. 1–38. doi:10.5194/gc-2018-13 . Black, R., Tsanakas, A., Smith, A.D., Beck, M.B., Maclugash, I.D., Grewal, J. … Lim, Z. (2017). Model risk: illuminating the black box. British Actuarial Journal, 23. doi:10.1017/S1357321717000150 . Boonen, T.J., Tsanakas, A. and Wüthrich, M.V. (2017). Capital allocation for portfolios with non-linear risk aggregation. Insurance: Mathematics and Economics, 72, pp. 95–106. doi:10.1016/j.insmatheco.2016.11.003 . Bignozzi, V. and Tsanakas, A. (2016). Parameter Uncertainty and Residual Estimation Risk. Journal of Risk and Insurance, 83(4), pp. 949–978. doi:10.1111/jori.12075 . Aggarwal, A., Beck, M.B., Cann, M., Ford, T., Georgescu, D., Morjaria, N. … Ye, I. (2016). Model risk – daring to open up the black box. British Actuarial Journal, 21(02), pp. 229–296. doi:10.1017/s1357321715000276 . Tsanakas, A. (2016). Making a Market for Acts of God: The Practice of Risk-Trading in the Global Reinsurance Industry (Book Review). JOURNAL OF RISK AND INSURANCE, 83(2), pp. 501–504. doi:10.1111/jori.12160 . Tsanakas, A. and Danielsson, J. (2016). Everybody right, everybody wrong: Plural rationalities in macroprudential regulation. VoxEU. Bignozzi, V. and Tsanakas, A. (2016). Model uncertainty in risk capital measurement. Journal of Risk, 18(3). doi:10.21314/J0R.2016.326 . Tsanakas, A., Beck, M.B. and Thompson, M. (2016). Taming Uncertainty: The limits to Quantification. ASTIN Bulletin, 46(01), pp. 1–7. doi:10.1017/asb.2015.29 . Wang, R., Bignozzi, V. and Tsanakas, A. (2015). How superadditive can a risk measure be? SIAM Journal on Financial Mathematics, 6(1), pp. 776–803. doi:10.1137/140981046 . Tsanakas, A., Beck, M.B., Ford, T., Thompson, M. and Ye, I. (2014). Cultural aspects of model risk. The Actuary, 2014(December), pp. 34–35. Zaks, Y. and Tsanakas, A. (2014). Optimal capital allocation in a hierarchical corporate structure. Insurance: Mathematics and Economics, 56(1), pp. 48–55. doi:10.1016/j.insmatheco.2014.02.009 . Gesmann, M. and Tsanakas, A. (2014). Conference report: R in insurance 2014. R Journal, 6(2), pp. 185–186. Tsanakas, A. (2012). Modelling: The elephant in the room. The Actuary, 2012(September). Landsman, Z. and Tsanakas, A. (2012). Parameter uncertainty in exponential family tail estimation. ASTIN Bulletin, 42(1), pp. 123–152. doi:10.2143/AST.42.1.2160738 . Tsanakas, A. (2012). The Elephant in the Room: Model Error and Solvency Regulation. .
Dhaene, J., Tsanakas, A., Valdez, E.A. and Vanduffel, S. (2012). Optimal Capital Allocation Principles. Journal of Risk and Insurance, 79(1), pp. 1–28. doi:10.1111/j.1539-6975.2011.01408.x . Wüthrich, M.V., Embrechts, P. and Tsanakas, A. (2011). Risk margin for a non-life insurance run-off. Statistics & Risk Modeling, 28(4), pp. 299–317. doi:10.1524/strm.2011.1096 . Tsanakas, A. (2009). To split or not to split: Capital allocation with convex risk measures. Insurance: Mathematics and Economics, 44(2), pp. 268–277. doi:10.1016/j.insmatheco.2008.03.007 . Tsanakas, A. (2008). Risk measurement in the presence of background risk. Insurance: Mathematics and Economics, 42(2), pp. 520–528. doi:10.1016/j.insmatheco.2007.01.015 . Tsanakas, A. and Christofides, N. (2006). Risk exchange with distorted probabilities. ASTIN Bulletin, 36(1), pp. 219–243. doi:10.2143/AST.36.1.2014150 . Landsman, Z. and Tsanakas, A. (2006). Stochastic ordering of bivariate elliptical distributions. Statistics and Probability Letters, 76(5), pp. 488–494. doi:10.1016/j.spl.2005.08.016 . Tsanakas, A. and Desli, E. (2005). Measurement and Pricing of Risk in Insurance Markets. Risk Analysis, 25(6), pp. 1653–1668. doi:10.1111/j.1539-6924.2005.00684.x . Tsanakas, A. (2004). Dynamic capital allocation with distortion risk measures. Insurance: Mathematics and Economics, 35(2), pp. 223–243. doi:10.1016/S0167-6687(03)00137-9 . Tsanakas, A. and Barnett, C. (2003). Risk capital allocation and cooperative pricing of insurance liabilities. Insurance: Mathematics and Economics, 33(2), pp. 239–254. doi:10.1016/S0167-6687(03)00137-9 . Tsanakas, A. and Desli, E. (2003). Risk Measures and Theories of Choice. British Actuarial Journal, 9(04), pp. 959–991. doi:10.1017/s1357321700004414 . Tsanakas, A. and Smith, A. (2007). High dimensional modelling and simulation with asymmetric normal mixtures. London, UK: Faculty of Actuarial Science & Insurance, City University London. Tsanakas, A. and Cabantous, L. The Model Ajar: Building Rationality Infrastructures within Insurance Organizations. CPD seminar on solvency and capital allocation. European Journal of Operations Research, Referee, 2015 – present. Scandinavian Actuarial Journal, Referee, 2015 – present. SIAM Journal on Financial Mathematics, Referee, 2014 – present. Operations Research Letters, Referee, 2014 – present. Quantitative Finance, Referee, 2013 – present. North American Actuarial Journal, Referee, 2010 – present. Risk Magazine, Referee, 2010 – present. Australian Actuarial Journal, Referee, 2010 – present. Australian Actuarial Journal, Referee, 2009 – present. Journal of Urban Planning and Development, Referee, 2009 – present. ASTIN Bulletin, Referee, 2008 – present. Journal of Risk and Insurance, Referee, 2005 – present. Insurance: Mathematics and Economics, Associate Editor, 2004 – 2013. Insurance: Mathematics and Economics, Referee, 2004 – present. Risk Analysis, Referee, 2004 – present. R in Insurance. (Conference) Cass Business School (2014). Chair. R in Insurance. (Conference) Cass Business School (2013). Chair. Research Seminar at the Department of Economics, University of Bonn. (Seminar) Bonn, Germany (2012). Invited speaker. Paper: Parameter uncertainty and insolvency risk. Capital Modelling Seminar. (Seminar) Staple Inn, London, UK. (2012). Actuarial & Financial Mathematics 2012:Theory & Applications. (Workshop) University of Liverpool (2012). Invited speaker. Paper: Parameter uncertainty and solvency risk. 7th Conference in Actuarial Science & Finance on Samos. (Conference) Samos, Greece. (2012). Co-authors: Asimit A. V., Badescu A. M.
Financial Serviced Authority Insurance Risk Technical Seminar. (Seminar) London (2011). Invited speaker. Co-authors: Badescu, A., Tsanakas, A.
FSNet2010 Conference. (Conference) London (2010). Invited speaker. European Meeting of Statisticians. (Conference) Pireus, Greece (2010). Thirteenth International Congress on Insurance: Mathematics and Economics. (Conference) Istanbul (2009). Dept. of Actuarial Mathematics and Statistics, Heriot-Watt University. (Seminar) Edinburgh (2007). Invited speaker. Benfield European Risk Modelling Conference. (Conference) London (2007). Invited speaker. 5th Actuarial and Financial Mathematics Day. (Conference) Brussels (2007). Invited speaker. 2007 Life Convention. (Conference) Manchester (2007). Credit Risk Workshop for Young Researchers. (Seminar) Cass Business School (2006). Invited speaker. SCOR Group Conference. (Workshop) Paris (2006). Invited speaker. Lighthill Risk Network Pricing Seminar. (Workshop) London (2006). Invited speaker. Institute of Actuaries seminar on ‘Parameterising Copulas’. (Workshop) Staple Inn, London (2006). Invited speaker. Tenth International Congress on Insurance: Mathematics and Economics. (Conference) Leuven, Belgium. (2006). Department of Applied Economics, K. U. Leuven. (Seminar) Belgium (2005). Oxford Workshop on Extreme Risk. (Workshop) (2005). Invited speaker. Ninth International Congress on Insurance: Mathematics and Economics. (Conference) Quebec (2005). International Conference on Future Power Systems (FPS2005). (Conference) Amsterdam (2005). Co-authors: Tsanakas A., Kurowicka, D., Schavemaker, P.H., van der Sluis, L.
3rd Reliability of Transmission and Distribution Networks (RTDN). (Conference) London (2005). 2nd Brazilian Conference on Statistical Modelling in Insurance and Finance. (Conference) (2005). 2005 IEEE St.Petersburg PowerTech. (Conference) St.Petersburg, Russia (2005). 2005 GIRO Convention. (Conference) Blackpool (2005). Dept. of Actuarial Mathematics & Statistics, Heriot-Watt University. (Seminar) Edinburgh (2004). Invited speaker. Eighth International Congress on Insurance: Mathematics and Economics. (Conference) Rome (2004). 4th IASTED International Conference on Power and Energy Systems (EuroPES 2004). (Conference) Rhodes, Greece. (2004). 3rd Conference in Actuarial Science & Finance in Samos. (Conference) Samos (2004). 2004 GIRO Convention. (Conference) Killarney, Ireland (2004). Paper: Risk Measures: Beyond Coherence? Department of Economics, Universitat Jaume I. (Seminar) Castellón, Spain (2003). Invited speaker. XXXIV ASTIN Colloquium. (Conference) Berlin (2003). Seventh International Congress on Insurance: Mathematics and Economics. (Conference) Lyon (2003). Sixth International Congress on Insurance: Mathematics and Economics. (Conference) Lisbon (2002). Proceedings of the 39th International CIGRE Conference,. (Conference) Paris (2002). 2002 GIRO Convention. (Conference) Paris (2002). 2001 GIRO/CAS Convention. (Conference) Glasgow (2001). Proceedings of the Eleventh International Symposium on High Voltage Engineering. (Conference) London (1999). Solvency II rules stranger than ICAS. (2013) Institutional Asset Manager. Solvency II rules straonger than ICAS. (2013). Short on skills. (2012) TNT Magazine (magazine). Research findings shed light on risk-taking decisions. (2011) www.thompsonsnews.com (website).